Today is a big day for In Country:Vietnam as we announce our transition to a full-fledged independent title. We would like to thank Tripwire Interactive and our past contributors for their hard work and support during the development of the modification. We would also like to thank those of you from the ModDb community who have been loyally following the project over the last few years. We will of course be moving over to IndieDb soon. We can assure everyone that this decision was not made lightly, but was made unanimously and as development progressed we were able to thoroughly weigh up all of our options. We decided to choose Unreal Engine 4 for the future of In Country: Vietnam because it allows us to hit the ground running. With full access to the engine’s source code, as well as the terrific Blueprint scripting system, it is possible for us to prototype and design levels right away, whilst our coders implement the game's core mechanics. We view this is an opportunity to flesh out our gameplay and realism features from the bottom up, and a move to a standalone title is our best path forward in making the definitive, Vietnam First Person Shooter. As we look to the future, we may explore avenues to fund further development and expand upon our ambitious goals. We are assembling the perfect team to make that happen. Expect more in depth coverage once we know the exact route we'll take. We are pleased to present the first group shot of the US Army multiplayer classes. Merry Christmas from Sunny Vietnam! Thanks for charging money for a mod. it takes a while to make a mod, not just a minute. Also there is going to be an official expansion for the Vietnam war anyway so that should be good. can i play as NVA in this mod? I hate to say it but you guys waited too long, now Tripwire is making a vietnam red orchestra and it's going to completely cast a shadow over your game. Don't get me wrong, I was rooting for you guys I really was... and I sincerely hope your mod does well. But if you don't get the MULTIPLAYER part of this launched before Tripwire launches their Vietnam RO game then you might as well not even make it. I truly wish the best for yall and I hope you can get the MP In Country game out ASAP (even though it should've been out a long time ago I do understand you have lives). Good luck and I'm looking forward to both versions, maybe you can make maps for the official Vietnam Red Orchestra tripwire is making. We know this will come up a lot so we will just say that Pop Smoke is not involved with the Rising Storm Vietnam sequel; there is no In Country Vietnam content at work and to our knowledge we don't share any developers. We have been quiet over the last 4 months as we lay the groundwork for In Country on UE4 and we hope you'll like what you see when we are ready to reveal. Do you have any sort of release date on when you will be revealing this information? I hope that they didn't take the idea from you... by all means they have every right because you are modding their game, but perhaps it gives you guys something to expand on and later in the future you'll be able to port your ideas to RisingStorm 2. Dude they have had four or five years to release this mod, they cannot blame anybody but themselves for this. 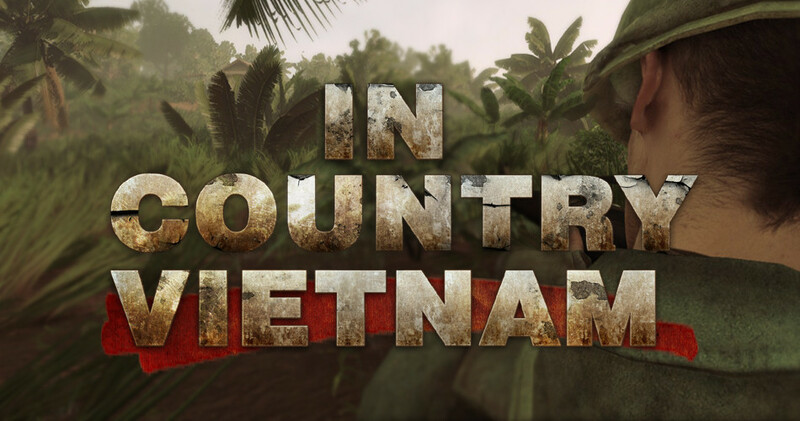 Unfortunately for them Tripwire is ONE of the only companies left that knows how to make a solid First Person Shooter and the official Vietnam RO2 game is going to completely outshine this one. Though I do wish these devs the best of luck. How is any other Vietnam game relevant? That's not what I was saying at all. The fact that Tripewire literally announced a Vietnam game the same time that the most anticipated mod for their established games is in the makes isn't a coincidence.